2.15pm Radio 4. Afternoon Drama. Moscow, 1852. Nikolai Gogol nurses his-long suffering nose as he works on a sequel to his satirical novel, Dead Souls. He meets two men who will help determine his fate and the fate of his new manuscript. 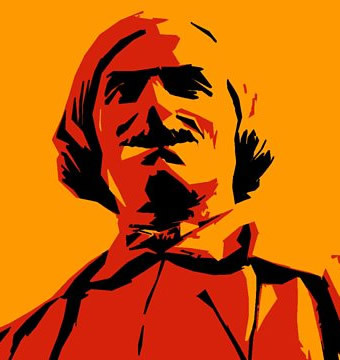 The first, Josef, is an actor and con man to whom Gogol becomes attached. The second, Father Mathew, demands that Gogol reject literature - and the young man. "The genre of 'psychological thriller', so often a get-out for pretentious writing neither psychological nor thrilling, comes into its own north of the border. Alistair Jessiman's The Sensitive (Radio 4 2.15pm) is gripping well beyond its afternoon play slot." "...irrestible flourishes of heart-stopping tension. I loved it"
"... the drama confirms the high quality of recent Afternoon Plays on the station." "There's a quiet intensity to these Thomas Soutar dramas which gets under your skin." More reflections on a Buddhist Theme from the author of Meaning in Life. "Some of us are naturally drawn to solitude. For others, the idea of being on our own, whether in the wilds or even in the privacy of our room, can seem like a very unattractive option. Loneliness is an emotion that many of us seek to avoid at all costs and, for those of us for whom this is true, solitude and loneliness may appear synonymous. In this book, we’ll be looking at the Buddhist perspetive on loneliness and how a Buddhist might deal with this problematic emotion. 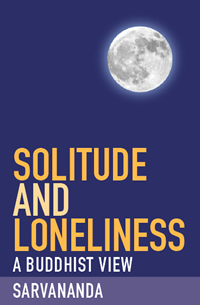 We’ll also be exploring in what way time spent in solitude can be of benefit on the Buddhist path, and we’ll be investigating the seeming paradox that, in facing up to our essential aloneness, we come to recognize how essentially connected to others we truly are."